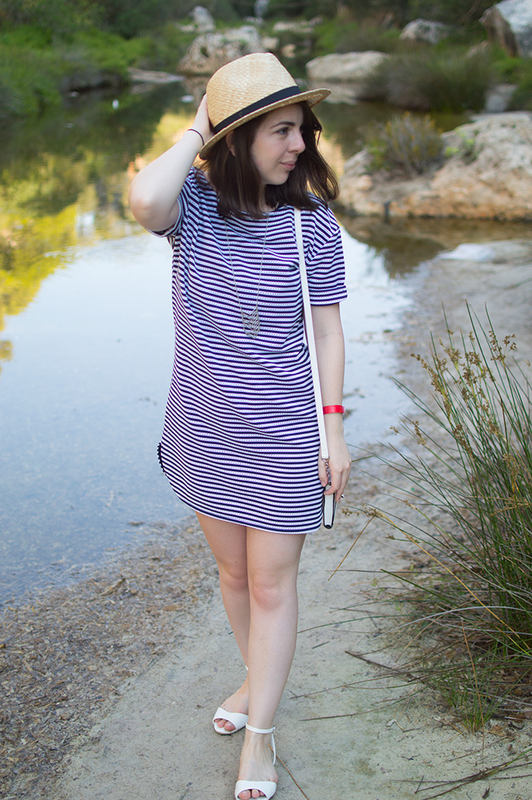 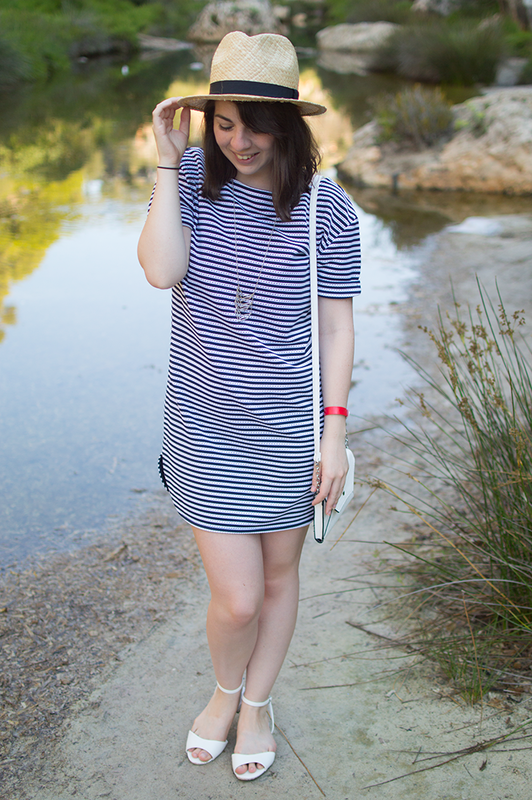 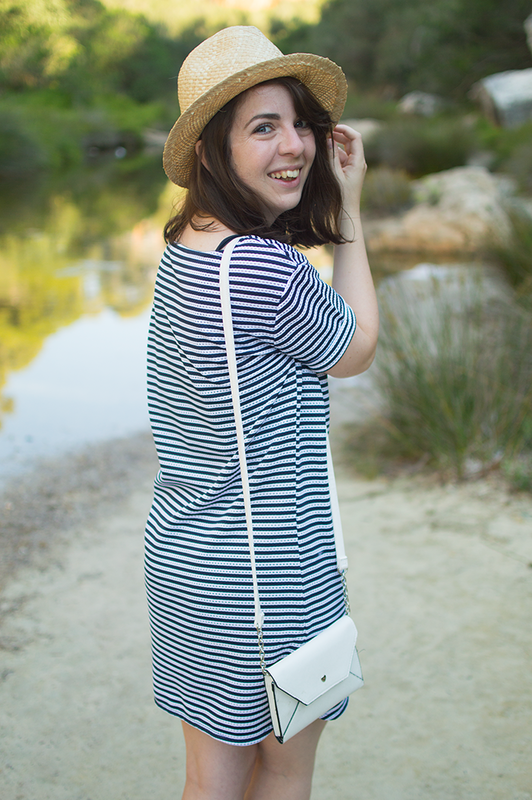 For our trip to the beach, I wanted a quick and easy outfit so I went for this Next striped t-shirt dress, which I picked up in the sale for a bargain £12 (score!) 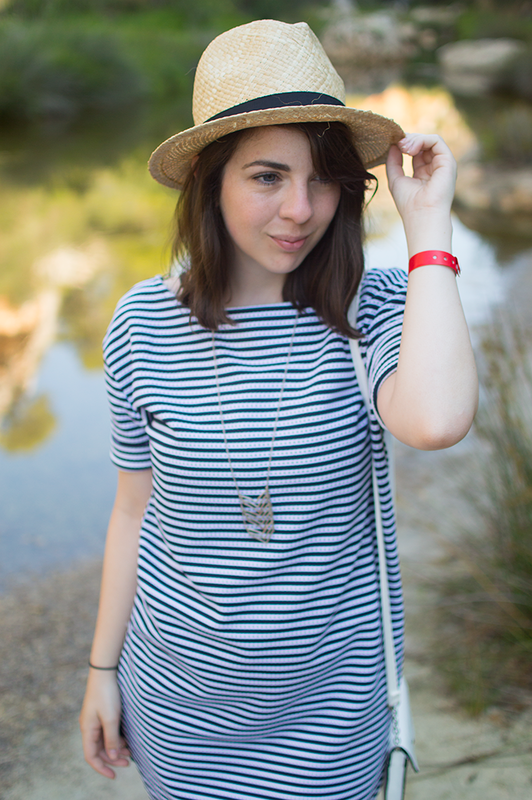 and a straw trilby hat which didn't leave my head for most of the holiday. 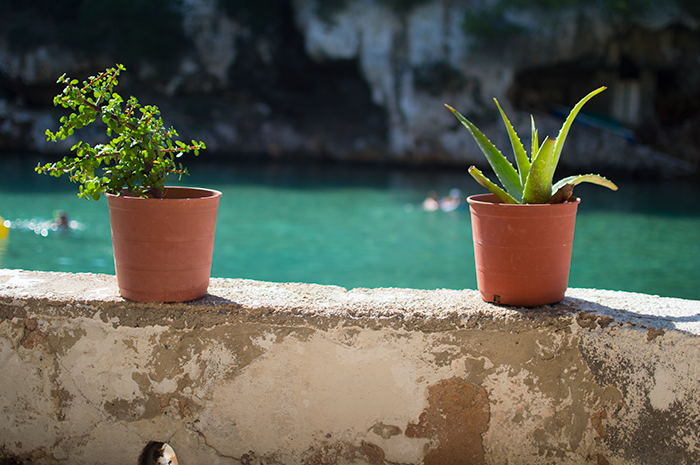 What can I say, it makes the perfect face cover up when you're trying to sleep on a sun lounger #toptip. 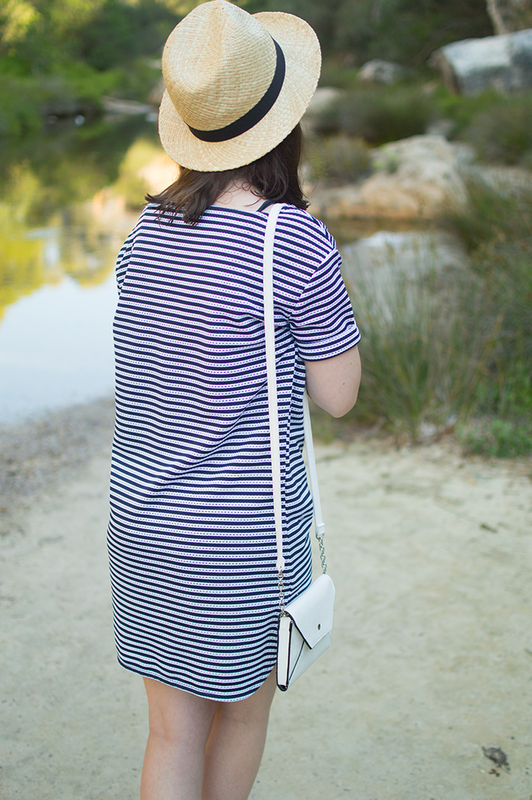 Of course I also wore my white New Look sandals and Dorothy Perkins bag which were another two items which didn't leave my side too much either. 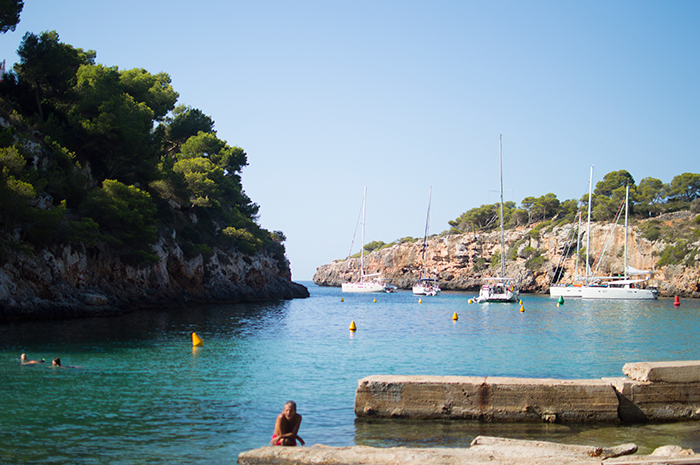 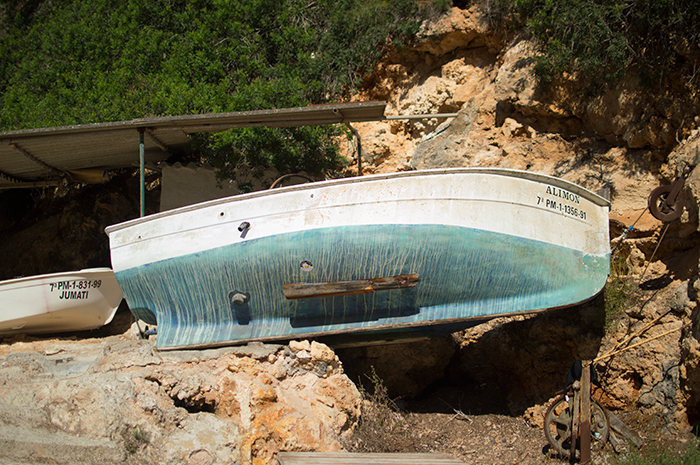 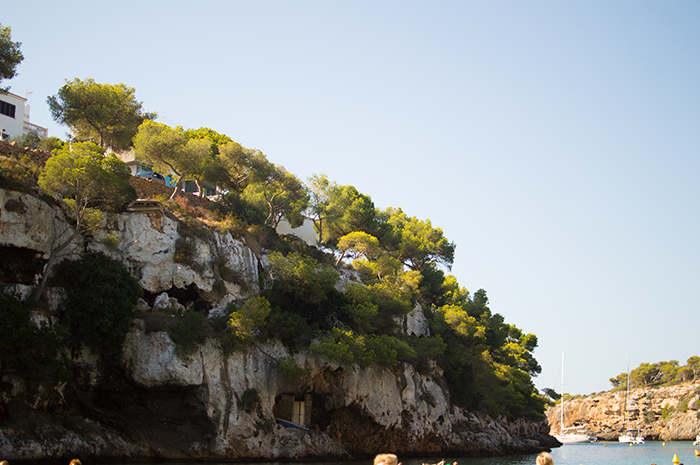 I hope you've enjoyed reading these posts as much as I enjoyed writing them, you can view my other Majorca posts here.